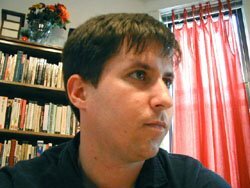 The 13th Floor Blog at Governing.com discusses a program that aired November 9th of last week on NPR . It was called This American Life and this episode was about the first black Mayor of Chicago, the late Harold Washington. This program actually aired back on November 21, 1997. Wow, it'll be a decade next Wednesday that this program aired. Also it'll be 20 years since his death on November 25, 1987. Mayor Washington was re-elected earlier that year and was only 7 months into his second term as mayor. He had been Mayor of Chicago since 1983 and that election will be covered in this program. I heard this program a while back and I'm so glad that I can hear this once again. And an addition that they talk about the presidential candidacy of US Senator Barack Obama. A famous black lawyer and judge, Eugene Pincham, mentioned that Dr. Martin Luther King was not a well liked man when he was alive but when he was murdered and couldn't lead anyone anymore, he got a holiday. Then Pincham says that Mayor Washington on the other hand is not going to get those same accolades because Washington is likely to inspire people from beyond the grave. Roughly 25 years have passed since Harold Washington was elected Mayor of Chicago and the question could be begged that this program seemed to address in 1997 & 2007. Would a black candidate have a fair chance to be elected Mayor today? Would that candidate have suffered the same resistance that Harold Washington had in 1983? 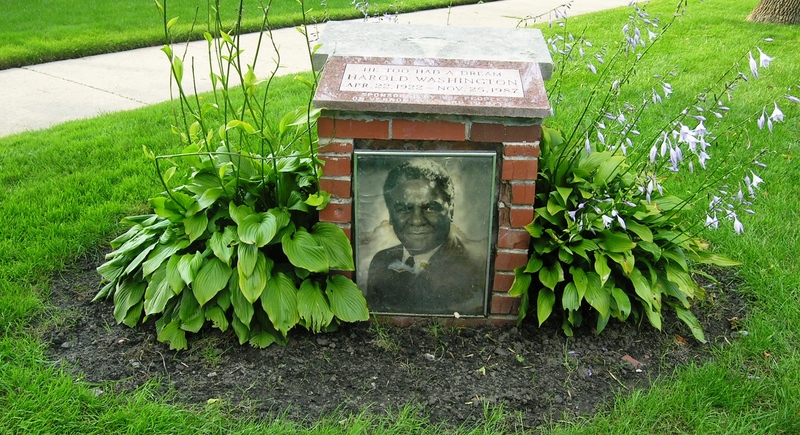 The pic at the top left is of a Harold Washington memorial courtesy of YoChicago's Chatham neighborhood Flickr set. This memorial sitting on South Vernon Avenue was sponsored by the people of Vernon Avenue, from 83rd to 87th Streets. To YoChicago, it was more memorable of a tribute to Mayor Washington than the library named for him in downtown Chicago. Also I still plan on digitizing the coverage I have of his funeral. I haven't figured out the logistics or the technology yet. I don't intend to wait too long on it either. With some edits this post was cross-posted at Illinoize!! !